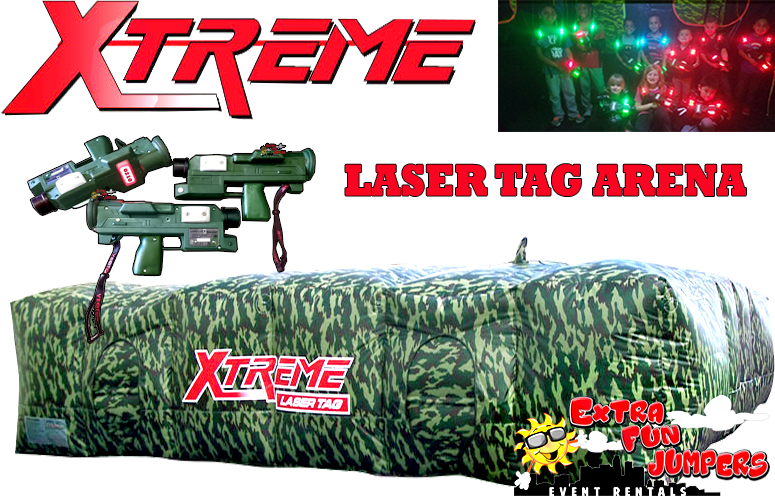 with this Interactive Laser Tag Camo. Customer will supply 4 separate Outlets, must be within 50ft each. Entrance/Path to set up area must be at least 4 feet in width. if you do not meet this requirements your order will be cancelled and we will charge you 50% of your entire order. 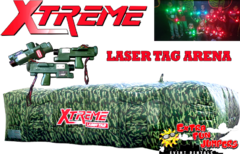 Xtreme Laser Tag is our newest laser tag arena. UP to 10 players at a time can hide in over 20 different rooms. 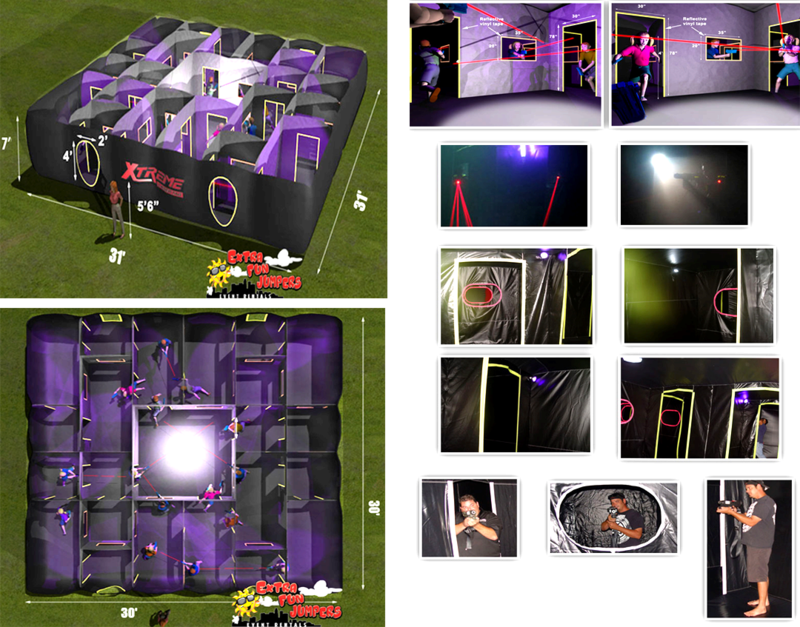 12 Blacklights, 10 Strobe Lights, laser lights and fog inside the unit make the experience exciting and thrilling for all. Great for school events, church events, Fairs, Fundaraisers, Corporate events, carnivals and company picnics.